Dr Ellen W Evans is a Junior Research Fellow at the ZERO2FIVE Food Industry Centre at Cardiff Metropolitan University. 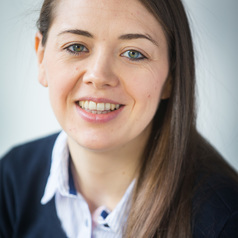 Ellen’s research interests relate to the impact of human cognition and behaviour upon food safety throughout the food supply chain from production through to consumer handling and the development of targeted interventions to reduce the risk of foodborne illness from food safety malpractices. Her current food safety research projects incorporate three key area; (i) food safety culture in the food and drink manufacturing and processing industry, (ii) consumer food safety cognition and behaviour in the domestic environment, and (iii) food safety education, communication and training in public health and healthcare settings with vulnerable patient groups, family-caregivers and healthcare professionals.